Hey yo, this one's a little late, but what can you do? 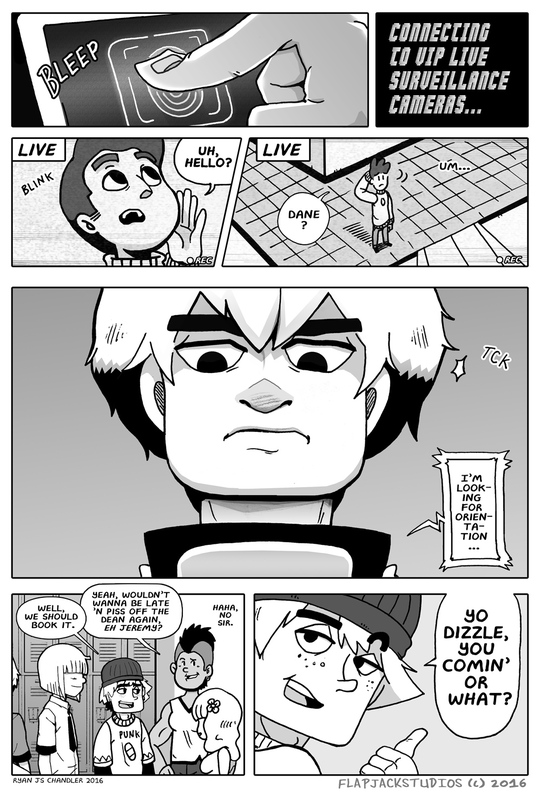 The new Flipside U comic is called "Yo Dizzle." Derek checks his security camera app only to spot Josh lurking about the VIP wing of the school. And D does not look impressed. 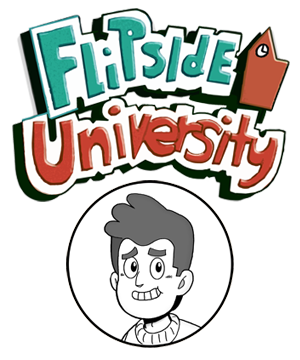 Meanwhile, Jeremy and the gang book it to orientation in hopes that the Dean won't expell them.